Wills for Divorced Persons. Easy to Follow Instructions. Wills for Divorced Persons with no children, adult children or minor children for whom a guardian must be named. Popular Wills for Divorced Persons (Not Remarried) which will effectively set forth your wishes in regard to the disposition of your estate. These Wills can be used by those with no children, adult children or minor children for whom a guardian must be named. These forms include a Self-Proved Will Affidavit. When most people think about drafting wills, they think about their family. Who will get what? Who will be responsible for the estate? How can I take care of my loved ones? But it’s also important to remember that legally, not every family is not a nuclear family. Some people get divorced, and this can introduce an element of uncertainty when considering the prospect of drafting a well. If you’re divorced and want to draft a will – or are wondering whether or not you need to re-write your will now that you’re divorced – then this article is for you. Here, we’ll explore some of the best tips and secrets to ensuring a will that leaves a strong legacy behind without letting legal issues complicate matters after you’ve passed. You’re Divorced; Is it Time to Re-Write Your Will? Many people think that getting divorced will change everything about their will, undoing the hard work they put into drafting the thing in the first place. But the first secret we have to offer you might sound a little counter-intuitive: you’d be surprised at how little changes about a will even during a divorce. For this reason, it’s important to re-evaluate your will after you’ve been divorced in order to make sure your estate is still handled the way you want it to be handled. After a divorce, your priorities may shift more to your children than to your spouse; without re-writing it, you wouldn’t be able to shape this emphasis into writing. For example, if you left certain elements out of your will because of how your estate is automatically assumed by your spouse after passing, you may want to change this to express different wishes in your will. It’s important to speak with a lawyer not only to evaluate your current will as your priorities change, but to ensure that your will is changed and drafted in a way that reflects these new priorities. After a divorce, you may want to draft your will so that it does not leave your estate to your now ex-spouse. If this is the case, then you need to change the will yourself; you’d be surprised at how many state laws will still dole out your estate to an ex-spouse if your will is left unchanged. Conversely, if you still want your estate to go to your ex-spouse, you may want to review the laws in your area with a lawyer to ensure that your will actually accomplishes this. 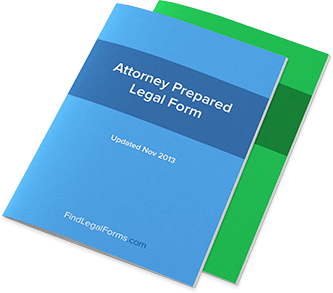 These types of changes can be done very quickly and often only take one meeting with your attorney. One of the best-kept secrets about wills is how little will change about them despite a change in your legal status. Even if you go from “married” to “divorced,” your estate can often be left in the same hands as your will dictated when you were married. That’s why it’s important to review your will regularly. For some people, this might only mean revisiting it once every decade or so – particularly if they’re young. But for others, such as people with changing circumstances and advanced age, the will should be revisited on a more continual basis to ensure that the changes reflect your current wishes as well as your current assets.